New CBSE Class 11 Maths Syllabus for academic session 2018 – 2019 is available here. The Syllabus in the subject of Mathematics has undergone changes from time to time in accordance with growth of the subject and emerging needs of the society. Senior Secondary stage (or Class 11 and Class 12) is a launching stage from where the students go either for higher academic education in Mathematics or for professional courses like Engineering, Physical and Bioscience, Commerce or Computer Applications. The present revised syllabus has been designed in accordance with National Curriculum Framework 2005 and as per guidelines given in Focus Group on Teaching of Mathematics 2005 which is to meet the emerging needs of all categories of students. Motivating the topics from real life situations and other subject areas, greater emphasis has been laid on the application of various concepts. In this syllabus, student will get complete information about the course structure, paper pattern, prescribed textbooks etc. *No chapter/unit wise weightage. Care to be taken to cover all the chapters. Need for complex numbers, especially √‒1, to be motivated by inability to solve some of the quadratic equations. Algebraic properties of complex numbers. Argand plane and polar representation of complex numbers. Statement of Fundamental Theorem of Algebra, solution of quadratic equations (with real coefficients) in the complex number system. Square root of a complex number. Fundamental principle of counting. Factorial n (n!). Permutations and combinations, derivation of formulae for nPr, nCr and their connections, simple applications. Intutive idea of limit. Limits of polynomials and rational functions, trignometric, exponential and logarithmic functions. Definition of derivative, relate it to slope of tangent of the curve, derivative of sum, difference, product and quotient of functions. 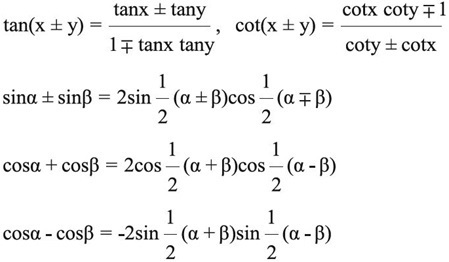 The derivative of polynomial and trigonometric functions. Mathematically acceptable statements. Connecting words/ phrases - consolidating the understanding of "if and only if (necessary and sufficient) condition", "implies", "and/or", "implied by", "and", "or", "there exists" and their use through variety of examples related to real life and Mathematics. Validating the statements involving the connecting words, difference between contradiction, converse and contrapositive. Random experiments; outcomes, sample spaces (set representation). Events; occurrence of events, 'not', 'and' & 'or' events, exhaustive events, mutually exclusive events, Axiomatic (set theoretic) probability, connections with the theories of earlier classes. Probability of an event, probability of 'not', 'and' and 'or' events.